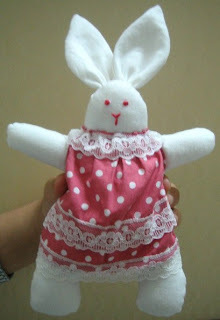 Yesterday I made the above rabbit doll. My little niece complained the doll is not pretty enough. 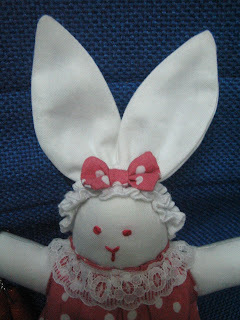 In oder to make her happy, I spent some time on making the below hair accessory for her doll. 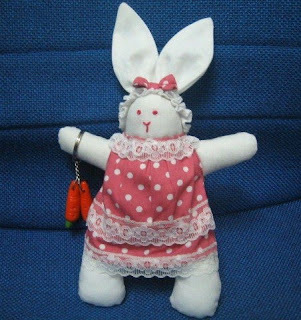 She let the doll carries the keychain with carrots ,which I bought for her from Cameron Highlands.
" This rabbit girl loves carrots more than I do ! " she said.